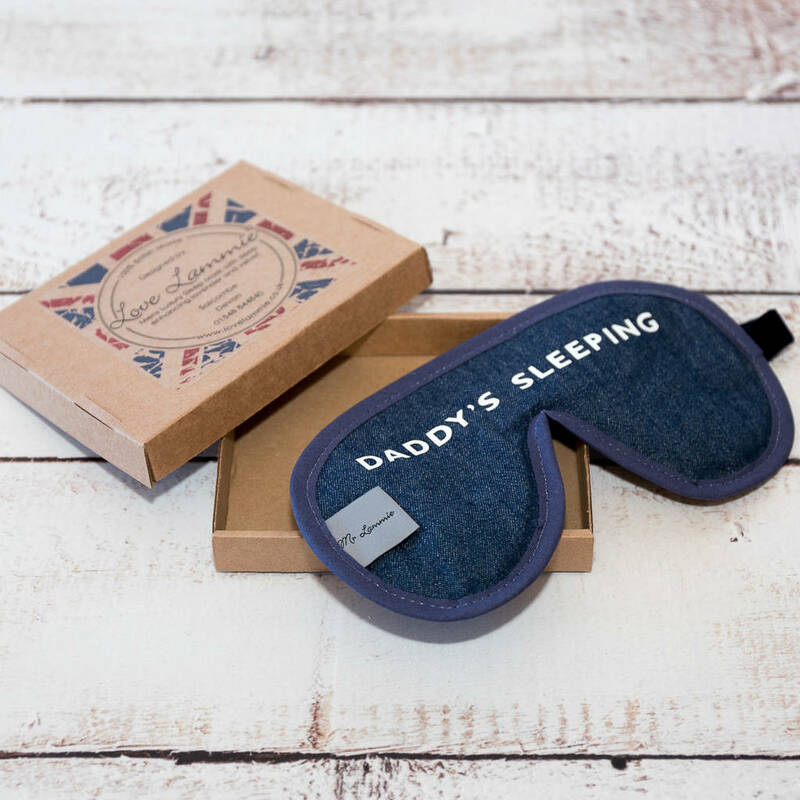 Sleep Mask in indiog denim with 'Daddy's Sleeping' print. 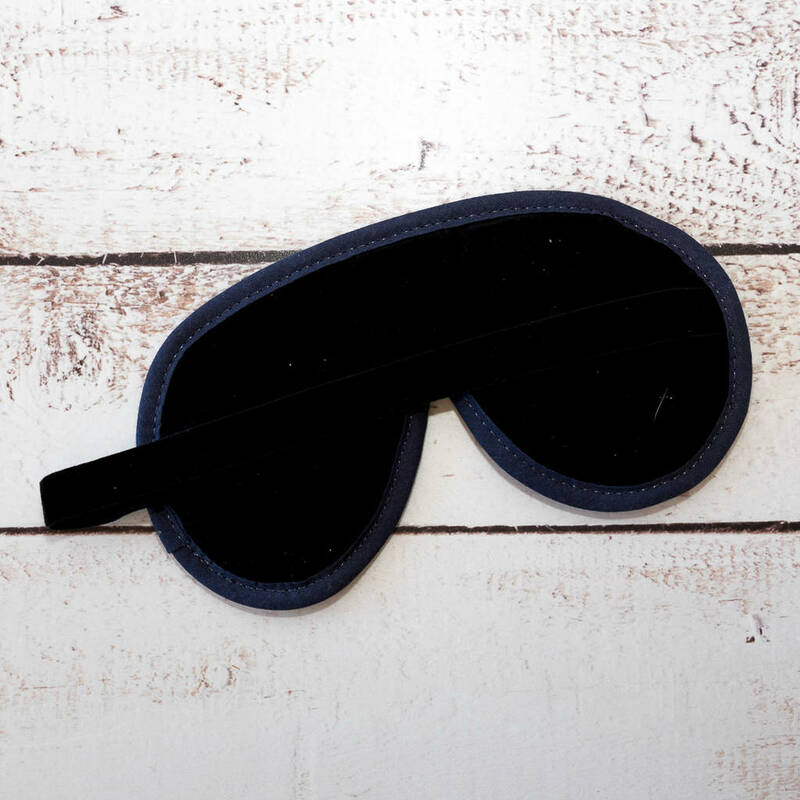 These contemporary sleep masks are trimmed with contrasting bindings. 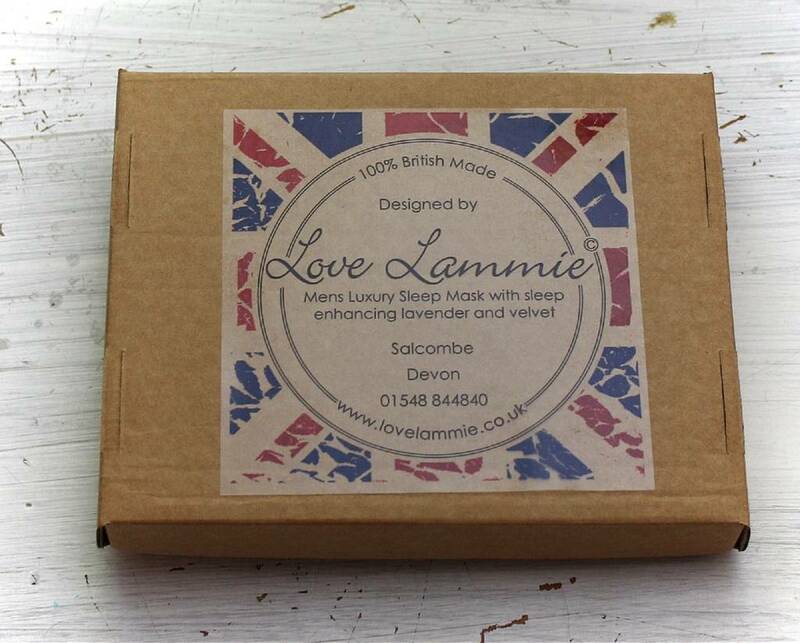 Love Lammie & Co luxury eye masks make the perfect gift travelling. Handmade in England, the 100% cotton velvet backing will gently caress your face. Perfect for traveling and equally for a good nights sleep. The mask has lavender inside to enhance the best sleep. Perfect for a good nights sleep or day time nap. Made in indigo denim and backed with a luxury soft navy blue velvet. The strap is also a made from a stretch navy elastic. Comes printed with 'Daddy's Sleeping' slogan. Gift Box available for this item.